Trust your feet to the best hands around. 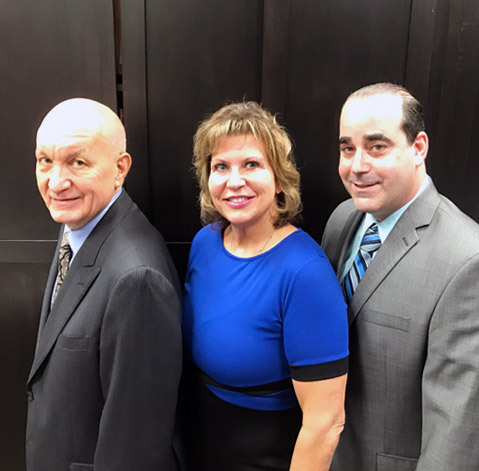 Our 3 board certified doctors, have 85 years of collective experience, bringing unique and extensive specialties to providing diverse foot and ankle care. Our professional staff has been providing treatment for the foot and ankle including orthotics, surgery, diabetic foot care, as well as a myriad of of other services and treatments. We are the only podiatry group in the Midwest that injects dermal fillers to aid in the relief of fat pad loss. Let our experts give you the relief you need today! Here at the offices of Dr. Mary Olszewski & Associates, we believe in providing the utmost care and service for every patient. We strive to develop caring and trusting relationships with our patients, in addition to exceptional medical care. We know how difficult functioning with foot ailments can be. Our goal is to deliver the best possible care for your specific needs. From your first appointment, through every follow-up visit, you will be treated individually in order to meet your needs. From our friendly and professional support staff, to our expertly trained and compassionate doctors, our goal is always to deliver great personalized service and the highest quality medical care. Born and raised in the area. Dr. Mary Olszewski D.P.M. M.A. is a graduate of the Dr.William M. Scholl College of Podiatric Medicine in Chicago. She completed her surgical residency at the prestigious Rush Presbyterian St. Luke’s Medical Center. She is double board certified by the American Board of Podiatric Surgery and the American Board of Podiatric Orthopedics. Dr. Mary has been practicing in the Chicagoland area for over 29 years with extensive experience in all aspects of podiatry. Dr. Mary is an Arlington Heights native and graduated from John Hersey High School. Call to schedule an appointment today at 847-398-0900 or fill in the form Contact us today!